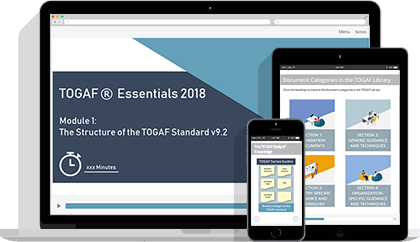 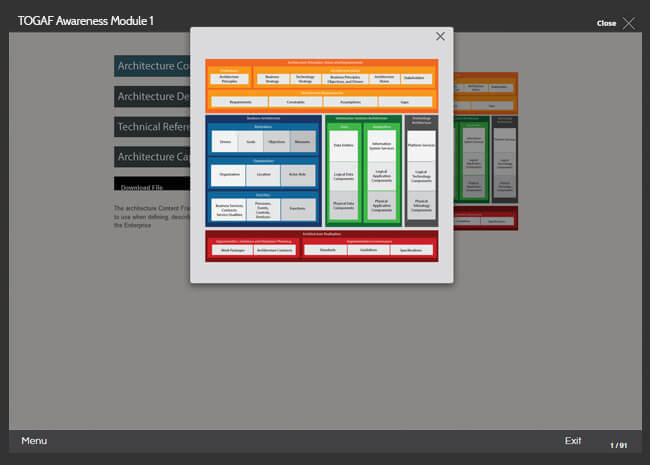 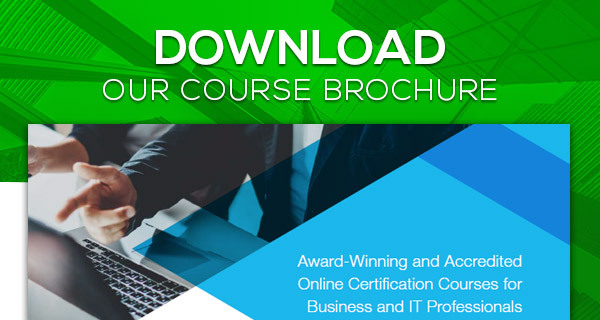 This TOGAF 9 Awareness course is designed to equip students with all the 'need-to-know' knowledge about The Open Group’s TOGAF standard and is a must for anyone wishing to pursue a career in Enterprise Architecture. 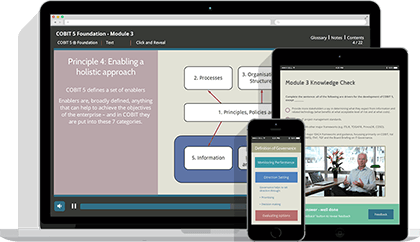 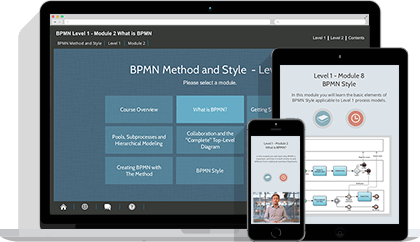 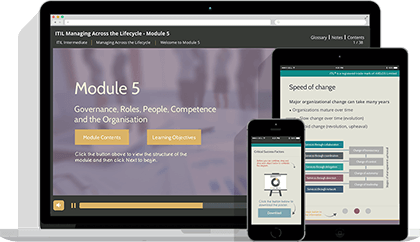 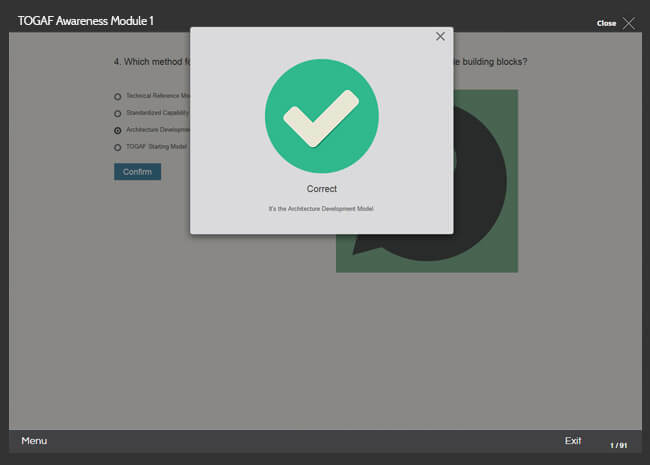 Students will recieve 6 months of instant access to the course materials including videos, interactive resources, quizzes and revision modules. 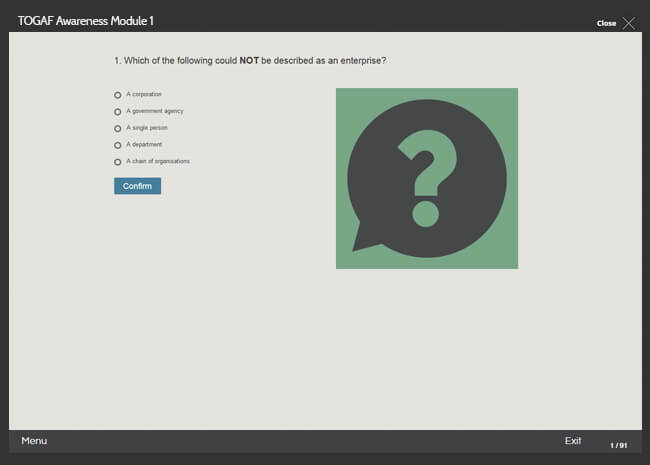 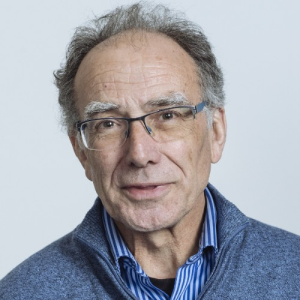  1.2 What is Enterprise Architecture and TOGAF? 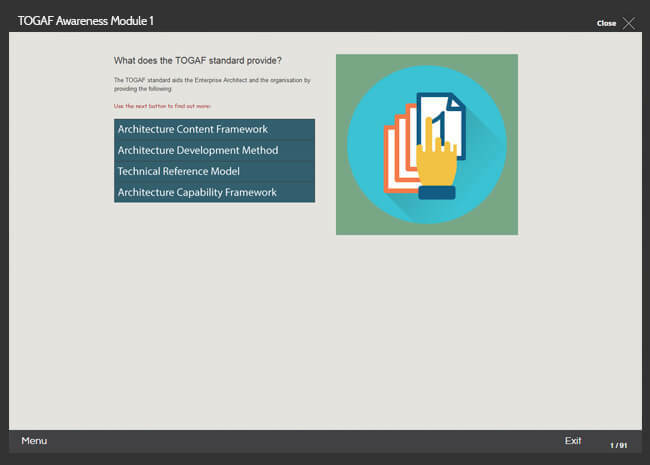  1.5 Why use TOGAF? 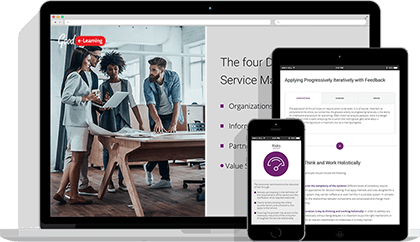 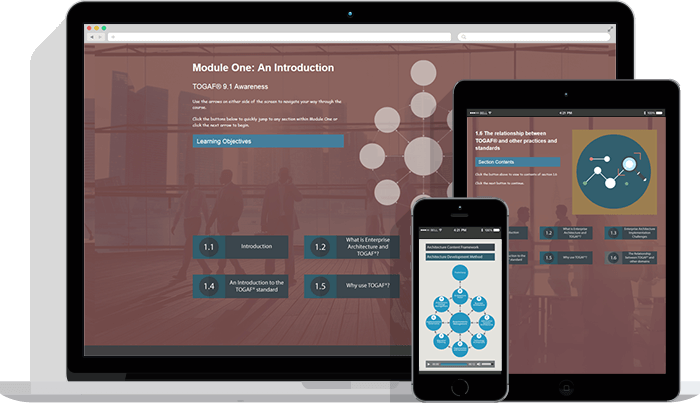 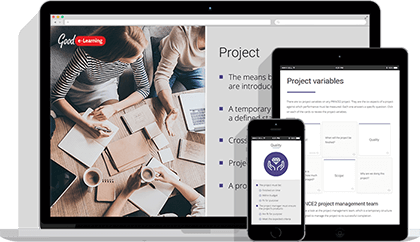 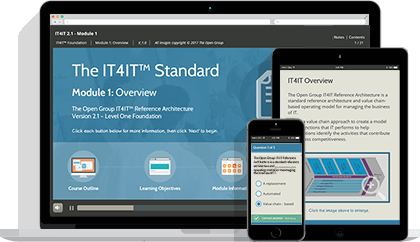 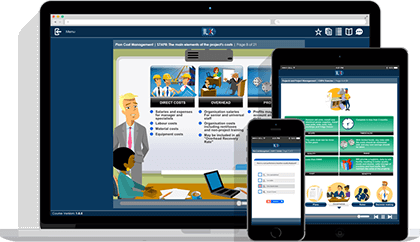 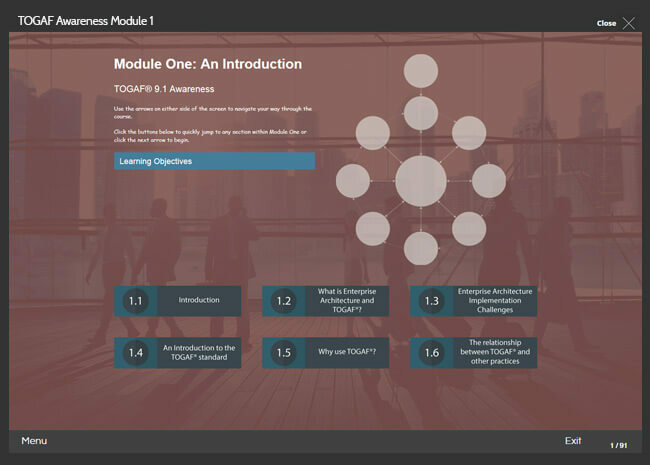 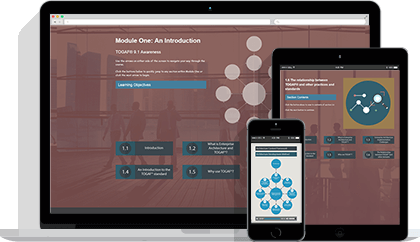 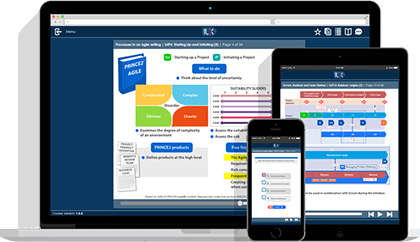 This awareness course is split into four modules that encompass all you need to have a solid introduction to the TOGAF standard. 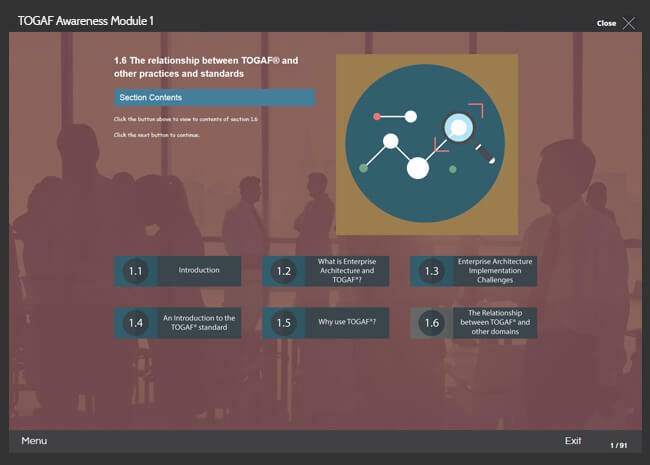 This TOGAF Awareness Course contains no formal examination, although there are 4 quizzes distributed over the course to help you retain knowledge and check your understanding at key moments. 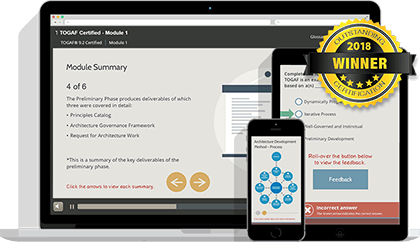 Although there is no official examination or assessment, a certificate of completion is awarded upon successful completion.